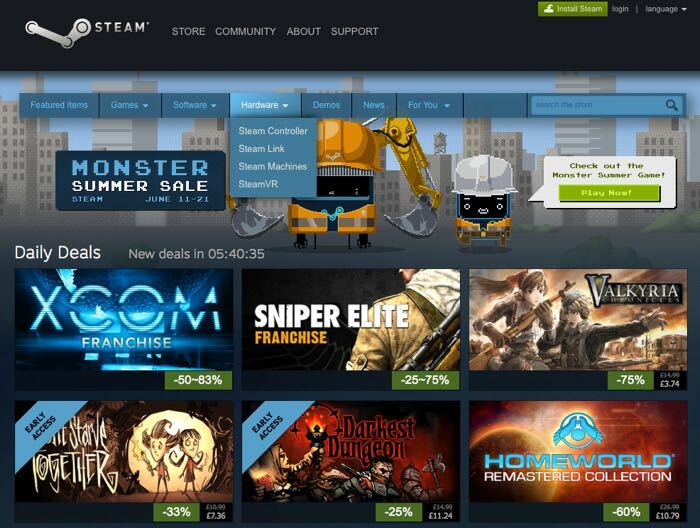 Valve has this week launched their annual Steam Summer Sale offering a huge wealth of bargains to be snapped up by gamers. The bargains currently on offer are to numerous to list in the article but include up to 83 percent off AAA games such as XCom and 25 to 75 percent off the Grand Theft Auto games. The Steam Summer Sale last for the next eleven days, allowing gamers to take advantage of huge savings throughout our store on thousands of games. Every 12 hours new Daily Deals are published and Valve has even made it possible to unlock additional discounts by playing their Monster Summer Game. To check out all the deals currently on offer jump over to the Steam website via the link below.